As with many little gems, I found this tiny bit of information a surprise while researching another article. 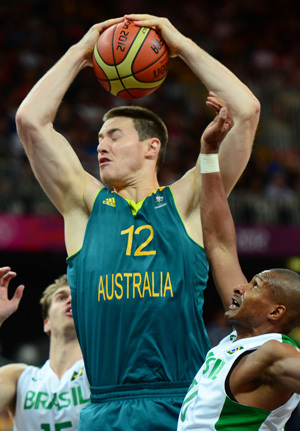 Aron Baynes participated in the 2010 Lithuanian Basketball League Slam Dunk Competition - and won it. We know Aron as a down-low banger, defender and all-around great guy. His performance, which will never be compared to Michael Jordan's, can be seen towards the end of the video below - under the name of Aronas Baynesas. Did anyone else know about this?